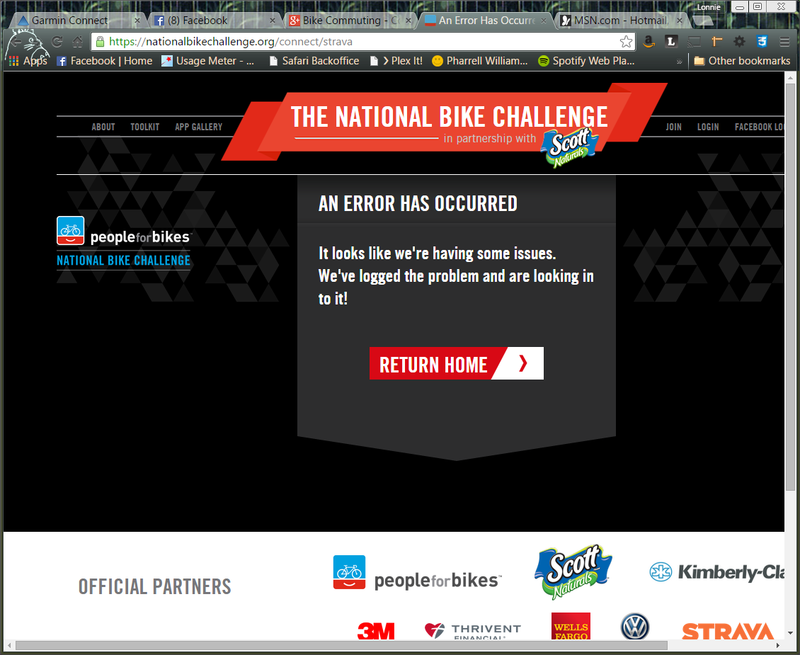 Well looks like I have been locked out of the National Bike Challenge web site. I hope that the website developers are fixing the bug that I uncovered when I switched from using the Endomondo App to log my miles to using Strava. When I switched the website allowed Strava to add duplicate log entries for all months in the challenge. I reported the error on the forums, so hopefully they are fixing it. For now I am toast.